Your clients hired you for a reason and want to hear what you have to say. You’re also hired for your awesome skill, so don’t be afraid to share your knowledge and challenge the directions you’re given. If nothing else, this will provide you better insight into what the client wants and drive UX Design further. As an intuitive strategist, I want as much information upfront as I can process to ensure EVERYTHING is accounted for. This is a rough guide, based on my experience on how you can push boundaries for great user experience. This is also from my point of view – your personality type might work very differently, but I hope you may still find some value from this article. Don’t just do what the client asks of you. You won’t be true to yourself or your client. This is the worst kind of feedback and I quickly learned to interrogate requirements and ask as many questions as it takes to fully understand the intentions behind the requirements. 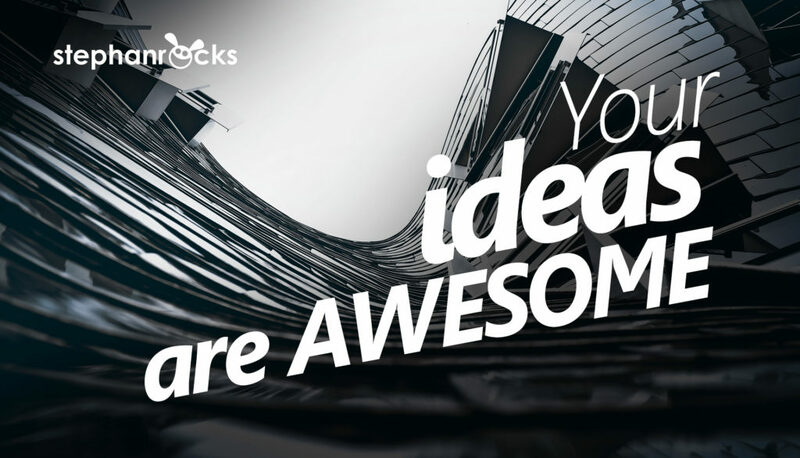 Take your requirements and design something awesome. 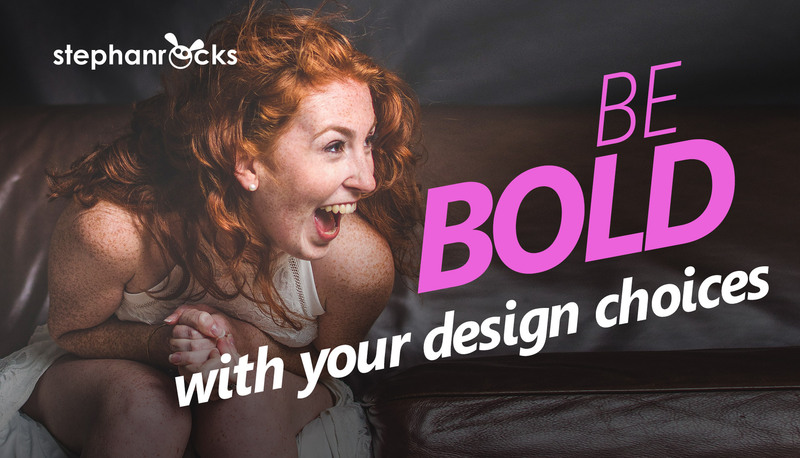 You know best, and you’ve made a career out of it so far so be bold! (Including your own). Just ideas which may need some further refining. When anyone throws an idea into the pool, never mind how terrible it may seem, you may process this information based on your experience and background and fill in the rest with some assumptions. This can cause communication breakdown very quickly. Ask questions and coax the reasoning behind it out of them for further exploration. Also keep in mind that participation in ideation sessions are easily killed by criticism. If someone throws a bad idea on the table, put it in with all the others or ask them to clarify. If, however, people are off-topic, steer them back to the primary goal of the session without dismissing anyone’s ideas. Everyone is unique and comes to the table with their own unique background, personality, values, technological prowess, etc. Harness these unique traits since they were put in this same session for a reason, whether it’s user journeys or information architecture. Also keep in mind your user psychology and what is important to each person in the room. Strategists may lobby for something specific and have high-level ideas where sensors may have ideas relating to a very granular part of a process. He who shouts the loudest wins! This can be very true of business requirements. At corporate giants, I’ve seen stakeholders adding hard requirements into the brief, which were driven by a small group of 1-2 people in a team of over 200 who they meet with often. If these requirements add value to everyone, go for it, but if it seems odd or detrimental to the entire project (or even just an expensive add), interrogate the requirement and the reason behind it. What is being asked may be easily achieved by understanding the “why” behind the requirement rather than just the requested end-result. This seems like something trivial to say, but when you use your awesome skill and talent to come up with something you truly believe in and have spent many hours on, your stakeholder may shut it down completely – be ready for that and have an alternate in-place if you expect that your direction is slightly off-course. Put yourself in a positive mindset before starting the session – this is an important tool I learned as a skydiver. If you expect your parachute not to open, your entire jumping experience is ruined, where if you’re expecting a smooth ride, any hiccup is just a hiccup and you’re quickly focusing on all the positives of the experience. You can never provide full reasoning / ideas behind your design in front of busy stakeholders. They only have time to process the important stuff. Be mindful of what’s important and stick to high-level unless they ask for more detail. Do your best in explaining your ideas to stakeholders, and be ready to defend your decisions. I always interrogate every design choice I make to ensure it’s the right decision for all end-users. When stakeholders then ask you why it is the way it is, you are ready with a solid and well-baked answer. Use your experience and skill to design awesome UX for your end users. Ultimately, they are who will gain the most value from your XD, so fight for your users and give them something awesome. There is a great little book, which outlines how, generally, to live your life. The Four Agreements by Don Miguel Ruiz. A fantastic book – you should pick up a copy and give it a read. I based how I work on these rules as well, and this always results in a well-rounded, unassuming user experience design.